SEA LIFE Bangkok Ocean World is a world-class aquarium in the heart of Bangkok. 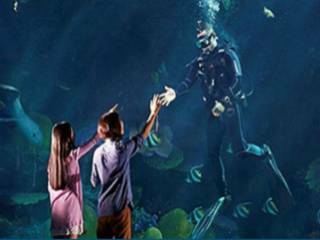 More than just an underwater experience, SEA LIFE Bangkok Ocean World is home to a variety of special activities. The choice is yours -- enjoyment and wonder await at every depth of the sea. And customers will be impressed with the variety of ocean adventures the team has to offer.